The company has made its mark as a prominent Exporter & Supplier of Sodium Metabisulphite in Hong Kong. 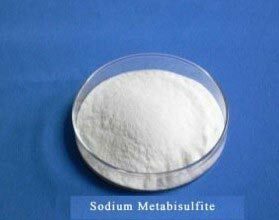 To deliver the best quality product, Sodium Metabisulphite is tested for quality prior to final dispatch. Further, we let the buyers to acquire it in customized packaging options and that too at rock bottom prices.